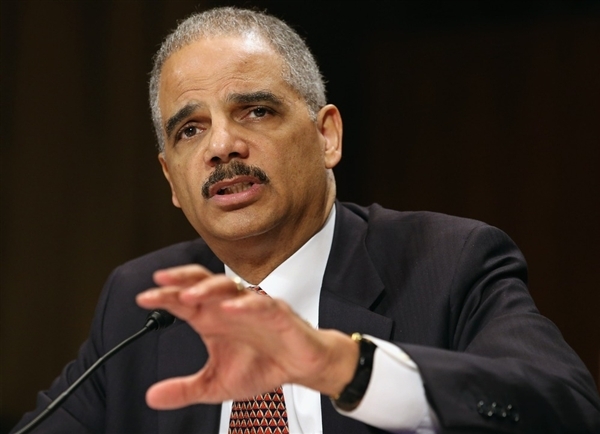 In what has proven an incredibly disappointing tenure by Attorney General Eric Holder, in which he, among other things, claimed that "due process" was not "judicial process," the last straw may have (hopefully) just seen the light of day. NBC News is reporting that Holder personally approved the secret seizure of Fox News reporter James Rosen's private emails. Unlike the AP case, where Holder has stated that he recused himself because he had been interviewed by the FBI for the investigation, this Fox News case shows how far the Obama administration will go in its quest to control information. That the administration went beyond finding the source of the leak, which was intelligence analyst Stephen Kim, and tracked Rosen's movements to of the State Department to prove he was meeting with Kim. In other words, Rosen was doing his job, which earned him FBI surveillance and federal search warrants. Kim is currently under indictment for allegedly leaking classified information about how North Korea would respond to UN sanctions. While federal prosecutors were aiming at making Rosen a co-conspirator of Kim's, Rosen will not be charged in the incident. Obama pledged on Thursday that he will continue to seek out those who leak classified information, but that reporters should not be the foci of these kinds of investigations. Obama also said that Holder shares this sentiment. Either Obama is lying to the American public, or Holder is lying to him. I don't think I need to argue why FBI surveillance and secret search warrants are intimidating to a journalist simply trying to do his job. I also don't need to argue that intimidating journalists from doing their job would inhibit the freedom of the press, a freedom guaranteed by the First Amendment. The fact that Holder approved this kind of intimidating, constitution-violating behavior is disturbing and should lead to his resignation. The question is, how long will he try to hang on to the position as the nation's top law enforcement officer, and how long will Obama allow him to remain there?